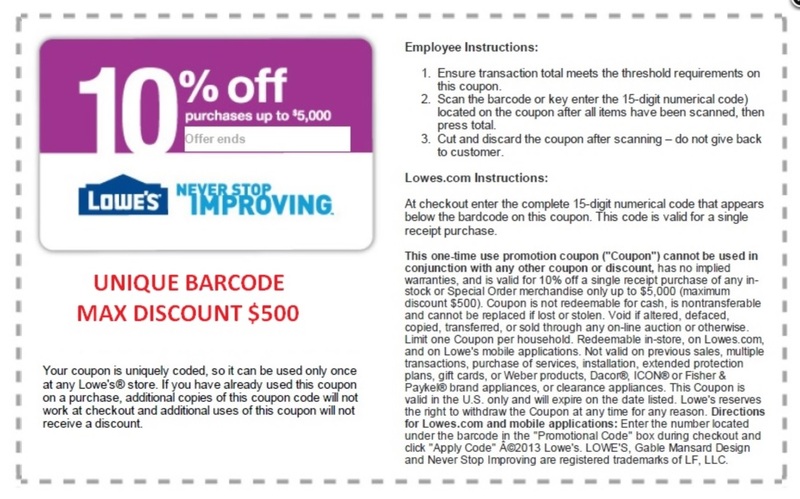 Buy Three (3) Lowes 10% off Coupons plus 1 FREE - By Email, What's This Week! Delivery: In most cases, your Lowes coupons will be emailed within minutes to address registered with Paypal after cleared payment is received. Please check junk or spam folders if you don't receive coupons within 24 hours. Fine Print: Click on coupon image for details and exclusions. As per rules - You are not buying coupons itself. You are paying for service to locate, collect, and email these coupons. Copyright © 2019 What's This Week!